sales priorities. 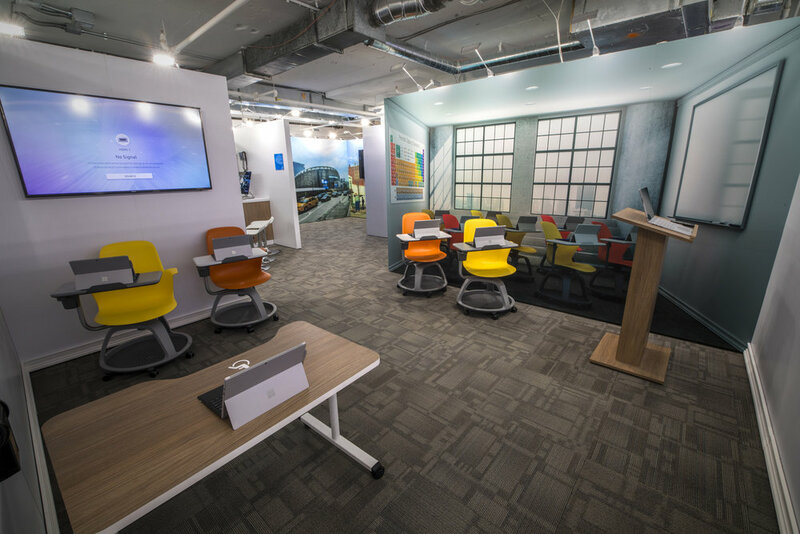 ImagiCorps curated interior finishes including carpet, paint and furniture to complement our custom exhibit structure. 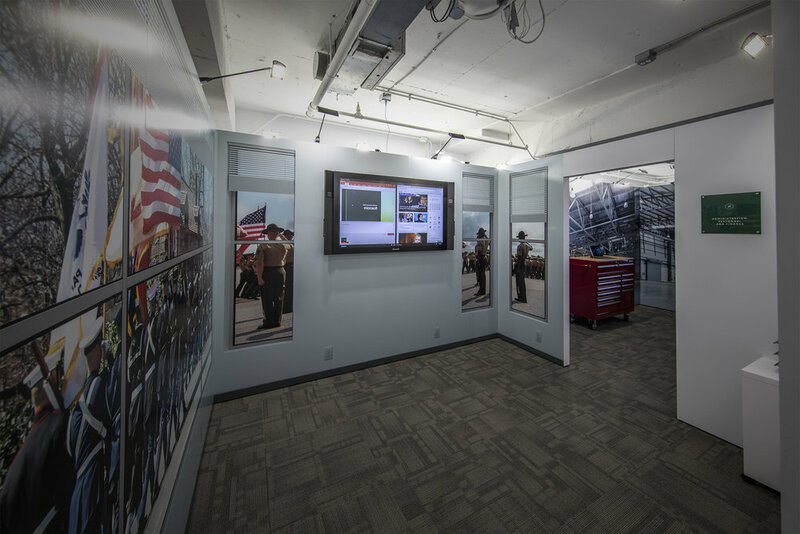 Unique and specified electrical and network drops provided an infrastructure backbone to support the technology and exhibit lighting in the space. 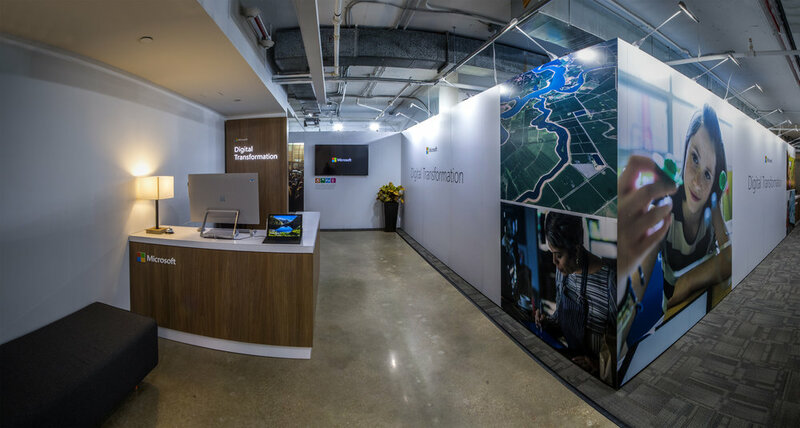 The final installation, which runs through May of 2018, features a series of individual room vignettes designed to support distinctive, realistic use-case scenarios engaging Microsoft products and services. The Showcase will feature three distinct phases, each designed to tell the Digital Transformation Story to government department agencies.